An international bestseller with over two million copies sold, this is a story of an artists desire for beauty and the ultimate corruption of innocence. 17th Century Holland. When Griet becomes a maid in the household of Johannes Vermeer in the town of Delft, she thinks she knows her role: housework, laundry and the care of his six children. But as she becomes part of his world and his work, their growing intimacy spreads tension and deception in the ordered household and, as the scandal seeps out, into the town beyond. 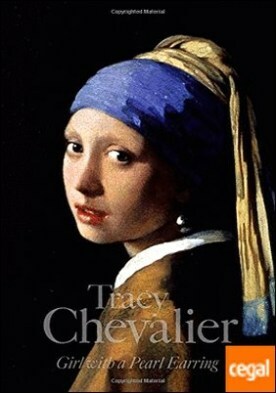 Tracy Chevaliers extraordinary historical novel on the corruption of innocence and the price of genius is a contemporary classic perfect for fans of Sarah Dunant and Philippa Gregory. Tracy Chevalier es la autora de los best sellers internacionales El azul de la Virgen (1997; Alfaguara, 2003), La joven de la perla (1999; Alfaguara, 2001) y Ángeles fugaces (2001; Alfaguara, 2002). Nació en Washington D.C., y vive en Londres con su marido y su hijo.